There are many different type of canopies for stores and Architectural Canopies can help you make the best choices. The words canopies and awnings are often used interchangeably though technically awnings are attached to buildings above entry way and balconies, whereas canopies can be freestanding. For the purposes of this article they often are used interchangeably. There are several benefits to canopies for stores. Firstly, they are highly visible and can be used for advertising purposes. They provide shade and protection from the elements. 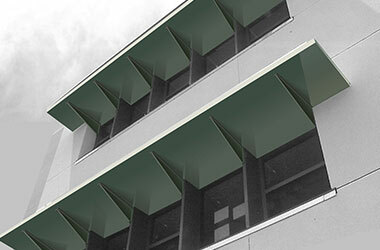 Window canopies prevent harsh light and shadows from entering a store, helping to keep temperatures lower. They also help protect assets inside your store, such as furniture and equipment. Since the influence temperature, they can also reduce the demand on air conditioners. Store canopies can be used to control the amount of light you want inside your store. 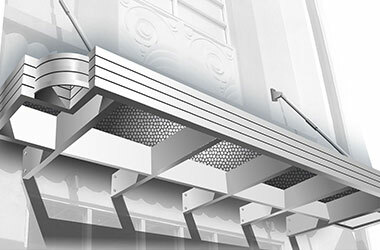 Architecture canopies for stores add a pleasing modern accent that enhances the aesthetics of a building. Canopies for stores are available in several designs and there many color options. 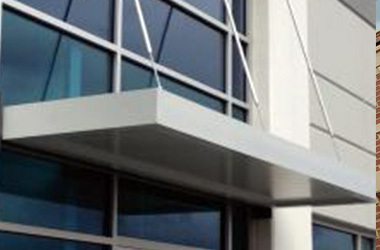 From bespoke design to rich color options, a store canopy can add to the overall appeal of your building or store. Freestanding canopies can be used for car shelter, over outdoor seating areas, over outdoor walkways and so on. 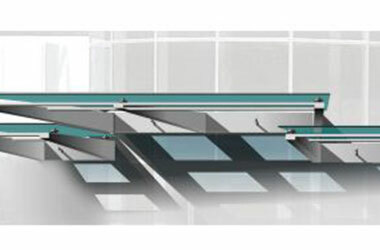 Retractable awnings are often used on patios to keep you and your guests cool and comfortable in the outside heat. Both retractable awnings and window awnings can add style to your store or building by complementing its architectural design. 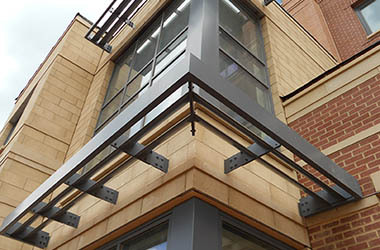 Architectural canopies can be permanently installed for year-round protection and style. Freestanding canopies can be permanent structures or temporary structures that need to be assembles and disassembled. If you want to know more about canopies for stores or awnings for stores, then you should contact Architectural Canopies. Canopies for Stores by Architectural Canopies are beautiful, affordable, and a great investment for your business. Contact us for details!